Welcome to my place on the internet where I can share my thoughts and ideas, and let you know what God's been saying to me recently. If you'd like to respond to anything I write, then drop me an email via nancy@nancygoudie.com. I heard a story today that encouraged me so much – so I thought I would pass it on to you. If you need God to move in your finances, then get a hold of this story and pray it into your life too. A couple who have seen God move supernaturally in their own finances started to pray for this to happen to others too. A friend came to the husband for counsel on his finances and after encouraging him with stories of supernatural provision that he and his wife had seen, the husband then prayed that the same supernatural provision would defy all expectations. That evening the person who came for counsel went to one of his friends to ask for a loan so that he could catch up with his mortgage payments. The friend didn’t give him a loan – instead he gave him a love offering which completely paid off his mortgage and then gave him some extra for repairs to his car. How wonderful is our God? What he has done for others – he can do for you! At another time the same couple were praying for someone who was in a tough situation. The person who asked for prayer had a husband who was unable to work because he had been injured in a car accident. The wife was a beautician and at the end of their prayers for healing for the husband, they prayed that she would have supernatural tips at work. They lived in a small town but at the end of the week, the wife called them to say that on top of her normal tips, she received $500 from a single customer as a tip! The next week, the same thing happened – a single customer gave her $500. This happened four weeks in a row. The following week, instead of calling the wife showed up at this couple’s home and said, “Guess what?” The praying couple said, “Let us guess, another $500?” “No.” she replied, “A single customer gave me a tip of $5000!” Through the generosity of others, they did not lose their home or their car and the husband recovered quicker than the doctors had anticipated. The tips covered everything they needed while he recovered. Having lived by faith for my finances for 37 years, I know that God can and does provide. What an amazing God we have! Nothing is impossible. Today if you are in need, let these stories bless and encourage you. Trust in the God who loves you and has everything you need. Go to him today and believe him for the miracle you need. I release these testimonies over you in the name of Jesus Christ. 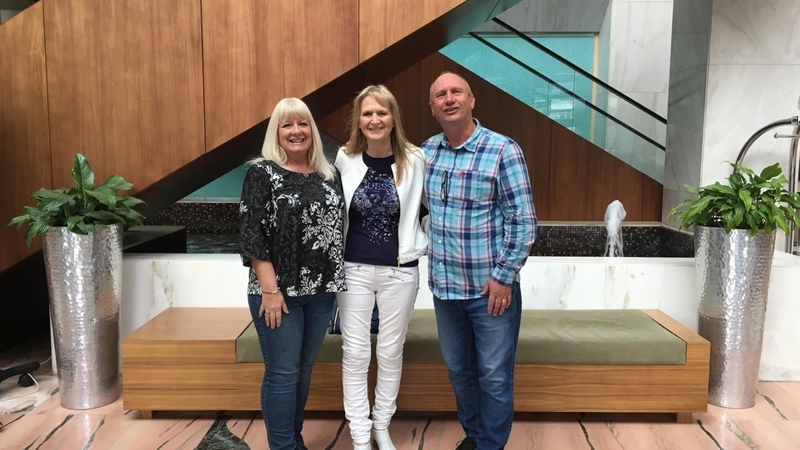 Last night I had the privilege of visiting our new venue for the Spiritual Health Weekends in Windsor with Zoe Wickham (ngm’s General Manager, my Spiritual Health Co-ordinator and my close friend). It’s a glorious and beautiful venue with incredible facilities and amazing grounds and I cannot wait to show you around the hotel. We were there to do ‘tasting’ evening, where we have to taste all the proposed food for the Spiritual Health Weekends. It’s a difficult job – but someone has to do it! Ha! We were served with four starters, five main meals and four deserts plus wine, water and coffee. 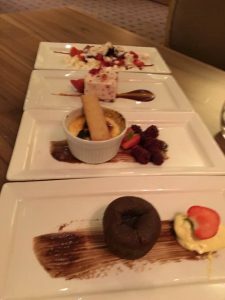 All the food was delicious, but we had to choose two dishes as starters, three as mains, and two as deserts for the weekend in February. It really was difficult because we loved them all, but eventually we managed to decide. Our choice was to discern the best of the best. We choose something that we thought was the most delicious food for the banquet meal on the Saturday night. We choose with you in mind. We reckoned if we loved it then you might just love it too. Our desire was that you would be immensely blessed. It reminded me of how God chooses the best for us. He loves to give you the desires of your heart and loves you to feel surrounded with his many blessings. When we don’t know what to choose sometimes and we decide to leave the choice with him – we always know that what he chooses will be the very best for us. I love leaving the choice of my future in his hands, because I know whatever that choice is will be the best of the best. If you are attending my Spiritual Health Weekend – then I am not only longing to meet you, but am also looking forward to seeing all that God has planned for you. Lives are encouraged, blessed and transformed at these weekends and I know this year at Preston and Windsor it will happen again. If you have not yet booked into these weekends – then do so soon. There are still spaces at both weekends but we do have to give any unsold rooms back at the beginning of December and from that point, we will only have a few rooms available. To book in call the office on 01454 414880 or book online by clicking here. I hope you can come and join us and enjoy seeing and eating the wonderful food that has been prepared for you, it’s a banquet fit for the princess you are! I know because I have already sampled the many culinary delights ahead. I thought you would love to know a little of the journey we have been on with the new production of the musical Luv Esther. 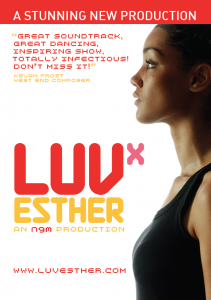 As many of you will know, Luv Esther is a dynamic and powerful musical based on the biblical story of Esther. It tells the story of Esther, a young refugee, a stranger in a strange land who stands up despite the real fear she faces and makes a huge difference in her nation. This is a powerful story that carries a real challenge not only to the church today but also to our society. In my book Luv Esther (published in 2006), I shared the story of how the show came in to being. It was the summer of 2000, when Ray and I were on sabbatical that inspiration came to my husband. As well as enjoying the rest and the sun, we were also searching God’s heart for the years ahead. We had served Him for twenty years and had seen Him do so much, but what did God want for the years that lay ahead? As Ray lay in the sun reading an autobiography by Tim Rice, which told the story of musicals such as Joseph and Jesus Christ Superstar, a seed of inspiration dropped into his heart. He leaned over to me and said, “Do you think God could be calling me to write a musical?” It sounded such a huge vision, but as we talked, we had no idea just how big a vision it was going to be. From that day on the beach in the Algarve, it took until 2005 for the show to be birthed. It was co-written by Ray and Murray Watts, with collaborations on the songs with various songwriters. The show toured the UK to mainly sold out venues for a number of years. During the first release of the show we saw many in the church challenged to stand up for such a time as this, but we also saw many churches use this show for pre-evangelism and we even saw some become Christians through it. I know this show carries the heart of God for what is going on in our nation at this time. Before Ray died in July 2016, he felt a clear call from God to begin to update and extend this wonderful show. He had great joy in updating the script and writing several new songs. During his last spell in hospital, he turned his room into his production office and spent time downloading his new script/songs to Murray. I can clearly remember the excitement in his voice as he talked about the script and how he knew he had heard from God. It’s taken over a year to progress from that meeting in the hospital to this new production being ready for the stage. We were given a gift that covered all of the pre-production costs, we recruited the cast and crew, had a new set created for us and have undergone weeks of rehearsals and now we are taking this wonderful message from the book of Esther to a wider audience. During rehearsals, we took the cast into the recording studios and have created a brand new cast recording to go alongside the tour, featuring some amazing vocals. You can purchase it for yourself by clicking on this link. It’s been a real privilege to see this production being birthed and as the producer of the show, I have had the pleasure of working with a very talented creative team, who have all brought energy and vitality to the table and helped create a truly lasting legacy. We have had setbacks along the way, but my heart is full of gratitude to God for helping us to get this show on the road. We are so thankful for Ray’s talent and creativity that lives on in this show and for the obvious anointing of God on it all. Do join us in praying that many will be deeply impacted with the message of us all being called for such a time as this! 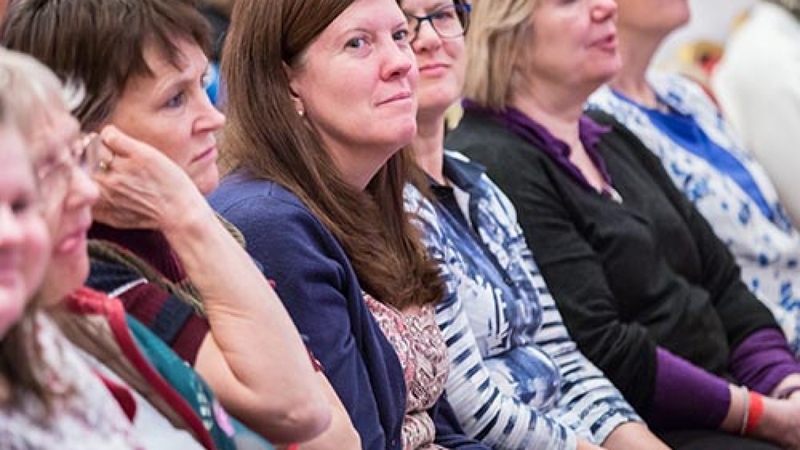 Check out our website for more dates/venues – please do go along and see it but also do contact us if you’d be interested in bringing the show to your area. I am aware that the film Dunkirk was released this week in all the cinemas in the UK. Just recently I looked up in the internet about the story of the Miracle of Dunkirk. What I discovered was an amazing story of how God moved in response to prayer. History tells us that on 10th May 1940 Hitler unleashed a military onslaught on France and Belgium. Within days the British and Allied troops found themselves with their backs to the sea hemmed in by their enemies. The German High Command was able to boast with confidence that their troops were proceeding to annihilate the British Army! Winston Churchill was considering how to announce an unprecedented military catastrophe involving the death or capture of a third of a million solders! But it didn’t happen! On 23rd May, King George VI requested that the following Sunday should be turned into a national day of prayer! 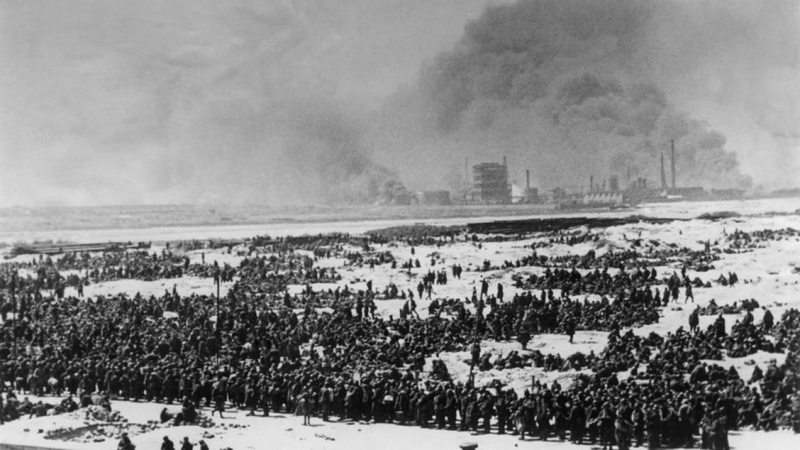 Late on the Saturday evening the military decision was taken to evacuate as many as possible of the Allied forces. On the Sunday, the nation devoted itself to prayer in an unprecedented way. Eyewitnesses and photographs confirm overflowing congregations in places of worship across the land. Long queues formed outside cathedrals. The same day an urgent request went out for boats of all sizes and shapes to cross the English Channel to rescue the besieged army, a call ultimately answered by around 800 vessels. Yet even before the nation prayed God began to answer. The first was that for some reason, which has never yet been fully explained, Hitler overruled his generals and halted the advance of his armoured columns at the very point when they could have proceeded to the British army’s annihilation. They were now only ten miles away! Later, Mr Churchill asserted in his memoirs that this was because Hitler undoubtedly believed ‘that his air superiority would be sufficient to prevent a large-scale evacuation by sea.’ That is very significant in terms of the second miracle. A storm of unprecedented fury broke over Flanders on Tuesday, 28th May 1940 grounding the German Luftwaffe squadrons and enabling the British army formations, now eight to twelve miles from Dunkirk, to move up on foot to the coast in the darkness of the storm and the violence of the rain, with scarcely any interruption from aircraft, which were unable to operate in such turbulent conditions. Hitler had obviously not taken the weather into his reckoning, nor the One who speaks to the wind and the waves! Despite the storm in Flanders, a great calm, such as has rarely been experienced, settled over the English Channel during the days which followed, and its waters became as still as a mill pond. It was this quite extraordinary calm which enabled a vast armada of little ships, big ships, warships, privately owned motor-cruisers from British rivers and estuaries – in fact, almost anything that would float – to ply back and forth in a desperate bid to rescue as many of our men as possible. Some might say it was all a coincidence but seemingly it wasn’t considered to be so at the time. Sunday 9th June was declared a National day of Thanksgiving and encouraged by Churchill himself, the phrase ‘the miracle of Dunkirk’ began to circulate. 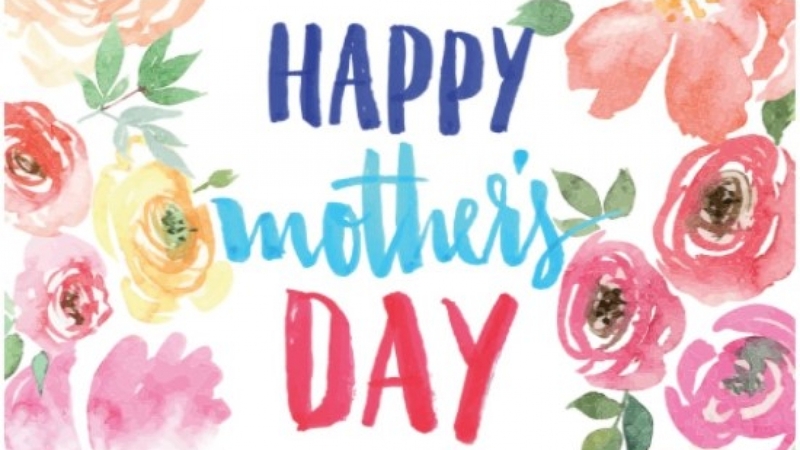 Today is Mother’s day in the States and I read a blog by an American pastor who highlighted what he had learned from his mum. I began to think what I had learned from my wonderful Mum. I learned so much from her. She was the one who taught me that God was alive and real. She taught me that he was not only real but that God wants to talk to us. She taught me to have a deep friendship with God and how to communicate with him. She taught me that God was powerful and he could do all things. She taught me never to give up, but to continue to look to him to do above and beyond all that I could think or imagine. In her own life she discovered pain and disappointment but she turned those into victories. As a teenage girl she was asked to open in prayer at the Billy Graham rally in Aberdeen – it was a great honour because she would have been the first woman to do so. However because she was in the Christian Brethren church (who didn’t allow women to speak/pray in public) her father would not allow her. She was disappointed but in her pain and disappointment she prayed that if she ever had children God would use them all in full time Christian work to speak/preach about the God she loved. She had four children and every one of us are in full time Christian work – my three brothers are all pastors/public speakers and I pastor/lead ngm and speak at various churches/events all over the UK and abroad. What a wonderful answer to her prayer. She knew how to turn her sorrow into joy! (As children we never knew of her prayer – she only told me later in life when God had done it). It encourages me today to recall this – hope it encourages you! Last Friday night I went to speak at a great event in Weston-Super-Mare! I had an amazing time! The person who led the worship before I spoke had no idea what I was speaking on, but he could have been in our preparation prayer meeting beforehand, as so many of the songs contained the truth of what I was going to speak about that night. 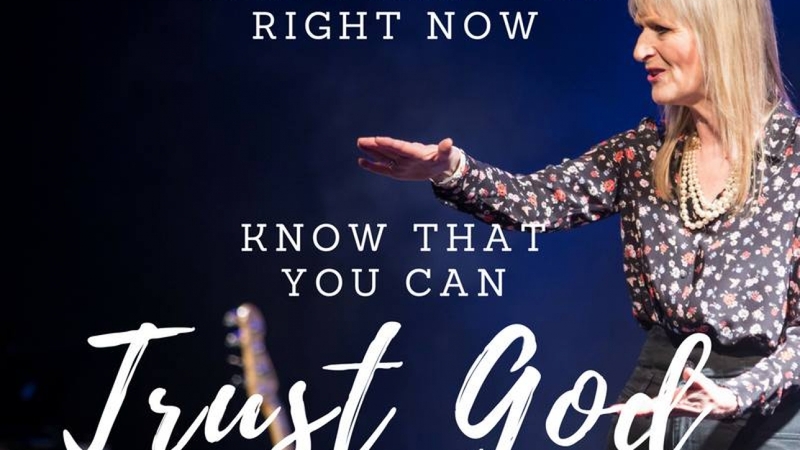 Even one of his comments in between the songs was exactly what I was going to say – he had obviously been listening to what God was wanting to say throughout the evening. It was so encouraging! I talked on the love of God and how much he loves us and cares for us. Many responded on the evening and I got the opportunity of praying for a number of them afterwards. However, what I want to talk about right now is about a lady who spoke to me as I finished speaking. What an encouragement she was! She told me that when she was a young teenager she was not doing well and a friend of hers had asked me if I would pray for and with her. I did pray and she said it was hugely encouraging and that during that time I told her that I saw a picture of her being married with kids. That was in the 1980’s, in the 90’s she was a missionary in India, but she was going through a very difficult time. Out of the blue she received a letter from me and in it I told her many encouraging words – to hang on to God, not to give up and that God was going to help her through any difficult time she might be facing – she hung on and God did what I had said he would do. She said that she just wanted to take time to thank me for what I had said and done – she said that through my words, prayers and encouragement God had transformed her life. She is now a Vicar, living in the UK and is married with two kids. She got married at 38 years of age, many years after I gave her the picture of her being married. How wonderfully encouraging is that? I had the privilege of hearing how when I took time to pray for someone, to give them a picture, to send them a letter when God prompted me to do so with words from God – how God then used the little I gave to change someone else’s life. Many times we will not hear what our prayers, encouragements, letters will do, but God is working and using every word – so can I encourage you to reach out to God today for someone else and share with them the love and encouragement of God. Doing things like this can be life changing for others. Woohoo – what a wonderful God we have! How do you cope when life is hard? As many of you will know my beloved husband died last July and my family and I have been discovering how to live without him. I was married to Ray for 43 wonderful years and he was my best friend for 47 years – we were also working together and leading ngm/inspire for 36 years so you can imagine the loss I feel. My sons too miss their dad, he was more to them than just a dad figure, he was a friend, a best friend! How do you cope when life is hard? What do you do when you don’t understand why things work out the way they do? You trust. I have always said that we are not called to understand everything that happens in life but we are called to trust. We may not understand why, but I know from experience that when everything in your world falls apart, the way to survive is to cling on to God and tell him you trust him. It says in the Bible that God is close to the brokenhearted and that is so true. As I have trusted, I have felt his presence so deeply. So many people when tough things happen turn away from God and blame him, but that’s the time when you need him, so instead of turning away, cling on to him and tell him you trust him to do what Romans 8:28 says:- bring good out of your horrendous situation. I know from experience that he is faithful and he can do it (1 Thess 5:24). Trust him today and always! I am in Dubai at the moment on holiday visiting some friends. What a gorgeous place this is. I am loving being here for a few reasons: 1) I have always wanted to visit Dubai – and now I have! 2) I get to spend some time with friends that I have not seen for quite some time. 3) My friends attend a brilliant church in Dubai and I got to go along to it. 4) Also their church put on a wonderful prophetic conference which just happened to be on while I was here and my friends bought me a ticket. Shawn Bolz and Julian Adams were the main speakers. Whilst preparing to go to the conference, I had a sneaky suspicion that God was going to speak to me. And he did! Shawn picked me out of the huge crowd and prophesied over me – a very significant word. I am very grateful to God for his encouragement. I hope that its not the last time I get to visit Dubai. Watch out for God speaking to you today! Will be back in touch soon. Today is a gift. Use this precious time wisely.